Written by Peter Conrad Costa Rica’s National Parks System tries to keep save all the ecosystems that exist in the country, protecting about 25% of the national territory. These parks and protected areas are not only fantastic places for hiking and observing wildlife to be included in your Costa Rica Family Travel, but some of them also include great spots for diving, surfing, and other activities. Braulio Carrillo National Park received its name in honor of the third president of Costa Rica: Mr. Braulio Carrillo Colina. Located in the Central Valley, 20 miles northeast of San Jose the Braulio Carillo National Park is about 118.000 acres, with a maximum elevation of 9.532 above sea level. This beautiful rain forest has temperatures of 35 °F (in the high altitudes) to 90 °F and the average annual precipitation is 180 inches. This park was created in April 27th, 1978, the same year the highway between Limon and San Jose was inaugurated. The park consists of 84% primary forest with trees over 100 years old. 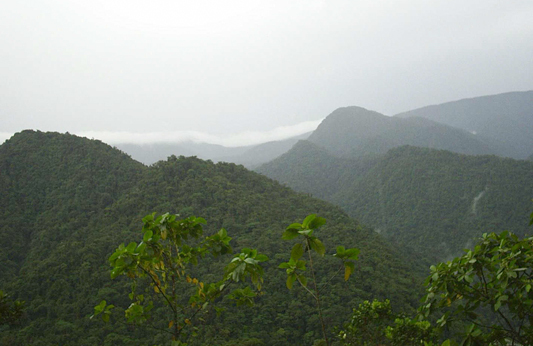 Braulio Carrillo National Park starts with a height of 36 meters and goes up until 2906 meters. The park is home place of more than 500 species of birds, 135 special of mammals (including howler monkeys, tapirs, jaguars, pumas, ocelots, and pacas), and 600 recognized species of trees. It has five life zones, from tropical wet to cloud forest. With 44,099 hectares Braulio Carrillo National Park is one of the biggest protected areas in the country. Schedule: Braulio Carrillo National Park is open daily from 8:00 am to 3:30 pm. Braulio Carillo National Park has a very humid climate which offers an evergreen forest, making it an excellent area for the observation and study of plants and animal species, especially birds.